Palm Coast and Port Orange, FL drivers in search of a high-value crossover are often left deciding between the 2015 Ford Escape and the 2015 Honda CR-V. To help them out, we compared each vehicle to make sure that the Escape still holds the upper hand. S: Starting at $22,960, the base model includes front bucket seats, a Ford SYNC system with Bluetooth connectivity, and a rearview camera to ensure that backing up feels natural. SE: Starting at $25,160, the SE lets you sink into a 10-way power driver’s seat while also adding fog lamps and automatic headlights to ensure flawless visibility. Titanium: Starting at $29,245, the Titanium trim provides an all-new SYNC3 system, leather-trimmed and heated front seats, dual-zone automatic temperature control, and a 10-speaker audio system. 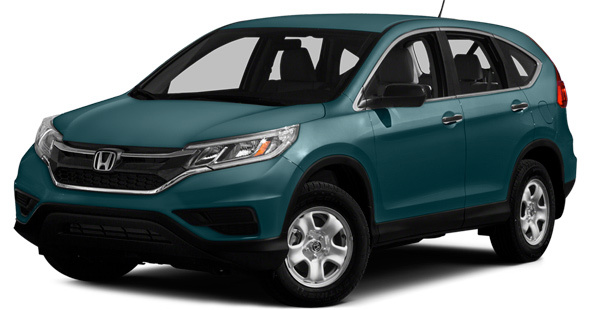 The 2015 Honda CR-V starts higher, with the 2WD LX coming in at $23,445 – close to $500 more than the Escape S. For that money, you’ll enjoy an basic features such as Bluetooth and air conditioning. Models work all the way up to the AWD Touring. Like the Escape Titanium, it includes dual-zone air conditioning and a leather-wrapped steering wheel. However, it starts at a minimum of $32,895 — $3,605 more than the Escape Titanium. 2.5L i-VCT I-4: The standard engine is capable of producing 168 hp and 170 lb-ft of torque — perfect for most drivers. 1.6L GTDI: 178 hp and 184 lb-ft of torque means that drivers who require it experience a markedly stronger drive. 2.0L GTDI: When only the most potent output will do, the 2.0L engine is available to put you in command of 240 hp and 270 lb-ft of torque. Where the Escape lets you decide for yourself, the 2015 Honda CR-V forces one engine upon all drivers, regardless of their individual requirements. The 2.4L i-VTEC four-cylinder is able to make 185 hp and 181 lb-ft of torque – acceptable numbers, but nowhere near what the Escape can offer. That kind of power beneath the hood doesn’t just result in a noticeably more responsive drive — it also allows the 2015 Ford Escape to boast an outstanding level of capability. Like the 2015 Honda CR-V, the Escape can tow up to 1,500 pounds with its base engine — but unlike the CR-V, it offers drivers the opportunity to haul far more. In fact, you’ll be able to tow up to 3,500 pounds behind you when you take advantage of the optional Class II Trailer Tow Package, so this the only option if you want to haul heavy loads or partake in some serious off-roading. Of course, that potential is backed up by the Escape’s innovative trailer sway control system, which automatically determines if the trailer is swaying, then applies the brakes or reduces torque in order to keep everything under control. Even standard models of the 2015 Ford Escape offer features that outclass those found in base model of the 2015 Honda CR-V – for instance, the escape comes standard with a 6-speaker audio system, the CR-V comes standard with a 4-speaker audio system. You’ll also be able to enjoy several optional features that cannot be included with even the $32,895 CR-V AWD Touring, such as a panoramic sunroof. However, the feature that Palm Coast and Port Orange drivers will be most drawn to is undoubtedly Ford’s available SYNC3 system. Newly refreshed for enhanced usability and performance, its ultra-fast interface will bring up phone, audio, and navigation functions in a flash, while enhanced voice recognition allows for perfect control when you need your eyes on the road and your hands on the wheel. However, only the Escape supplies an available Active Park Assist system. This handy feature uses ultrasonic sensors to measure the size of potential parking spaces, and then guides you into them to help prevent the vehicle from colliding with an obstacle. 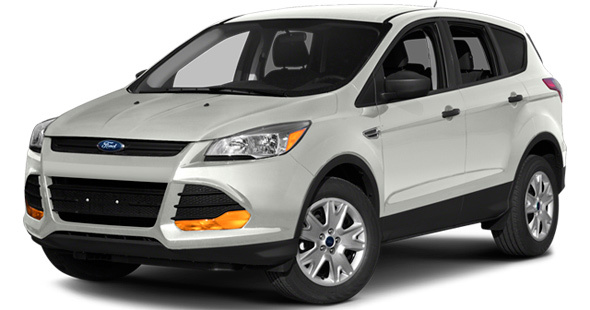 The 2015 Ford Escape offers a greater range of power and features than the 2015 Honda CR-V – all while starting for less. To test-drive yours today near Palm Coast and Port Orange, in the Are man she towards.